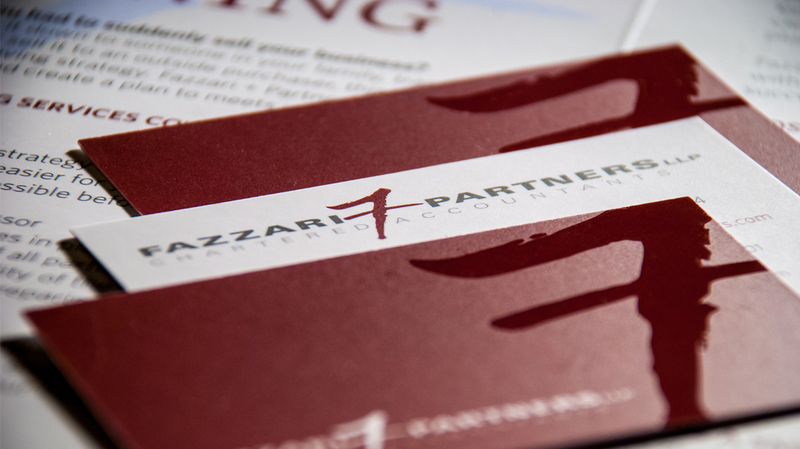 Our digital agency in Toronto handles design and advertising for Fazzari + Partners LLP. Contributions include branding, web design, web maintenance, email marketing, advertising and social media management. Feast Interactive handles digital marketing for this Toronto firm which includes web design, SEO, email marketing, social media marketing and print advertising. 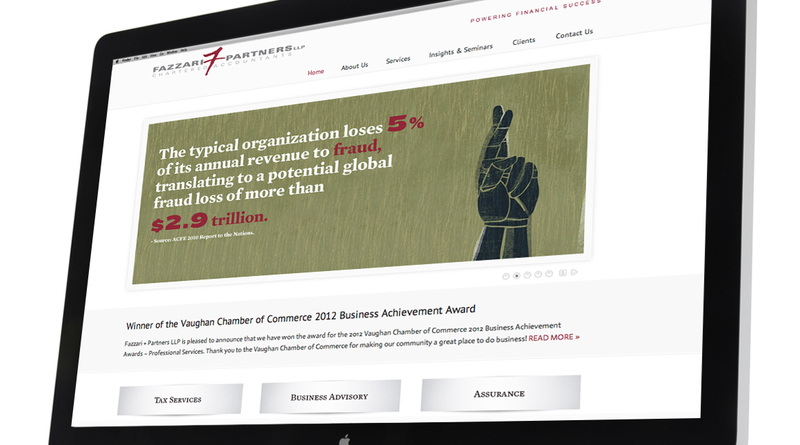 Our digital agency in Toronto revitalized a growing accounting firm with branding and digital marketing. The design department took an existing brand and energized it with impressive collateral and a leading class website design. From there, our digital advertising agency connected to new and existing clients through social media marketing and email marketing, as well as traditional media. Our web design firm redesigned their corporate website to include social marketing and web 2.0 principles with social media integration. We continue to maintain their website, email marketing, SEO, print design and social media marketing. Results: The firm has doubled in size over the last few years and is continuing their B2B marketing to a growing number of Canadian companies.